"Install Windows XP: The Step-by-step Guide to Setting Up Windows XP(Part 1)"
How to install Windows XP to your computer? Well, you may need to reinstall Windows or upgrade from existing Windows. Here, I will show you how to setup Windows XP o your own. If you are not doing the fresh installation, make sure you already backup your data to a safe place before you begin to install Windows XP. You also need to have the driver CD so that you can install back the devices driver after installing the Windows. 1. 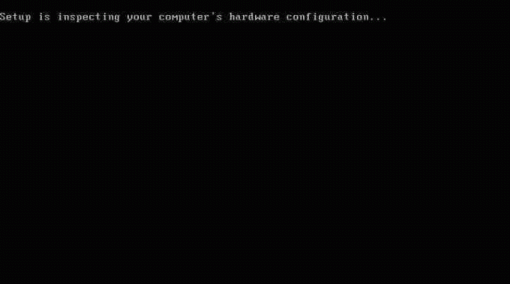 Start the computer and enter the CMOS setup screen (normally blue color) by pressing the Delete key several times immediately after you on the computer. Note: Some of the computer/laptop need to press F2, F1 or F10 key to enter CMOS. 2. Windows XP CD disc is bootable. So, you need to set the boot sequence. Look for the boot sequence under your Advanced BIOS Features and make sure that the first boot device is set to CD-ROM/DVD-ROM. 3. Insert the Windows XP CD to your CD/DVD drive. Then, save and exit CMOS setup. Once you see the message, immediately press Enter. Windows XP will start to boot up from the CD disc and you will get the following progress screen will appear while the CD content is read. 5. You can press F6 if you need to install additional SCSI adapters or other RAID driver such as SATA hard drive. If you do you will be asked to supply a floppy disk with the device drivers in it. 6. Setup will load all the needed files and drivers. 7. The following screen shows 3 available options. Stated very clear on the first option: To set up Windows XP now, press ENTER. If you want, and if you have a previous installation of XP, you can try to fix it by pressing R. If not, just press ENTER. 8. Read and accept the Windows XP licensing agreement and press F8 key to continue. 9. Select or create the partition on which you will install Windows XP Professional. Please read the on screen instructions carefully. If you so not need to create partition, skip this and jump to step 10. The following screen shows that the hard drive was unpartitioned. So you need to create the partition first. Press the C key to create partition as stated at the bottom of the screen. In the Create partition of size [in MB]: enter the partition size. Press Enter to accept and create the partition. Depend on the size of your hard drive, you can create one or more partitions. The screen shows that partition was created. There are unpartitioned space of 8 MB was normal. i) If the hard drive already has a partition that is large enough, you can install Windows XP on that partition. If the partition has an existing operating system, you will overwrite that operating system if you accept the default installation path. However, files other than the operating system files, such as program files and data files, will not be overwritten. ii) If the hard disk drive has an existing partition, you also can delete all the partitions and recreate the new partitions. Take note that deleting an existing partition erases ALL data on that partition. 10. Once partition was created, now we need to format the partition. As you can see, there are few options of file system available. Windows XP support both NTFS and FAT file system. The NTFS offer greater security and more efficient managing data. If you plan to gain access to files that are on a local Windows XP Professional partition with the Windows 95 or 98 systems, you should format the partition with a FAT file system. There is a word (Quick) at the back of the option, which mean quick format and the formatting are much faster than normal option without the word (Quick). 11. Select a suitable option and press Enter to continue formatting the partition. A screen that saying To format the drive, press F will appear. Press the F key and the setup is formatting and showing the progress bar from 0 to 100%. 12. Then, Setup will begin copying necessary files from the CD. 13. Once finishing copying the files, the computer will automatically restart and the installation will continue. If you don't want to wait for 15 seconds, just press Enter to restart immediately. Please do not press any key now, just leave it for a few seconds and computer will continue the setup process. This is the part 1 on 'How to install Windows XP?' 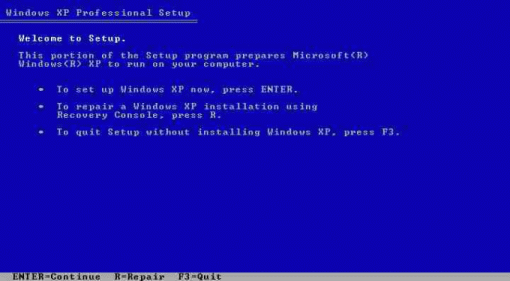 The part 2 on setup Windows XP will revealed the rest of the steps on installing Windows XP.